The photos have been hazy lately. Any way, this is a new painting. 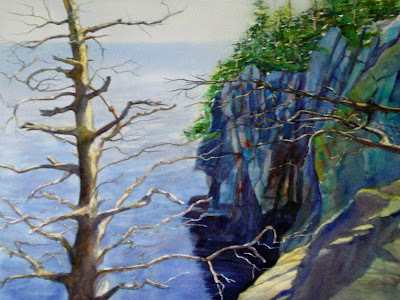 It is from one of my hiking trips to West Quoddy state park. I have done 2 similar ones in the past from previous hikes.